Become a god! Just like the other fallen deities of ancient Olympus, you must lead your army to glory and regain your immortality! 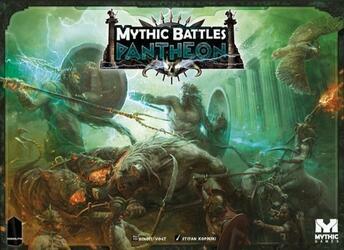 In Mythic Battles: Pantheon, players embody Greek gods. The Titans they had imprisoned escaped and in the cataclysmic battles that followed, many gods died. Those who survived have been considerably weakened. It's time for them to get up. But strange things happened during the chaos of war. Monsters and heroes believed dead long ago are wandering the devastated landscape of Greece. You must join forces to build a new world and rise to the throne of the gods!